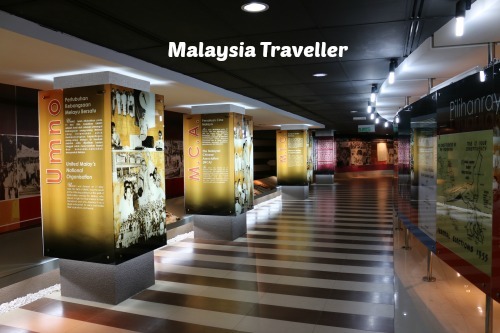 The Tunku Abdul Rahman Putra Memorial is a museum in Kuala Lumpur commemorating the life and achievements of the late Tunku who served as the first Prime Minister of Malaysia from 1957 until 1970. The Residency (centre) flanked by Blocks A and B. 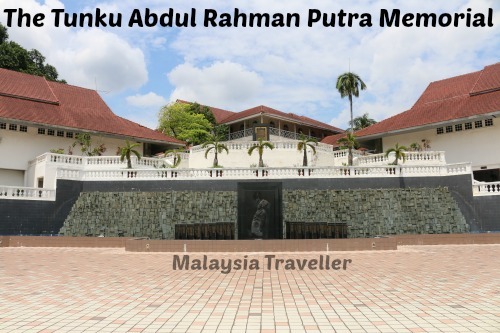 It is a sprawling complex made up the original Residency bungalow, which was the Tunku’s official home, flanked by two more modern buildings, Block A and Block B, where the bulk of the exhibits are displayed. 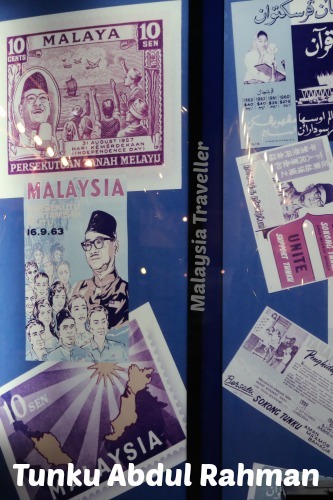 The majority of the exhibition area consists of graphic displays covering events leading up to Malaya’s independence from Britain and the role which the Tunku played in those historic times. 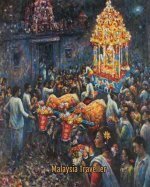 Other sections detail the Tunku’s parents, childhood, schooldays, his sporting activities and his early career as a lawyer and administrator. Some of his personal possessions such as clothing, shoes, golf clubs, walking sticks, krises and more are on display. The Prime Minister’s first office, which resembled a wooden longhouse, has been preserved and erected inside one of the blocks. It is amazing to see how those early days of independent Malaya were administered from such simple and humble offices, when compared to the massive machinery of Government needed to run Malaysia today. Most interesting for me was the original Residency building where the Tunku lived. 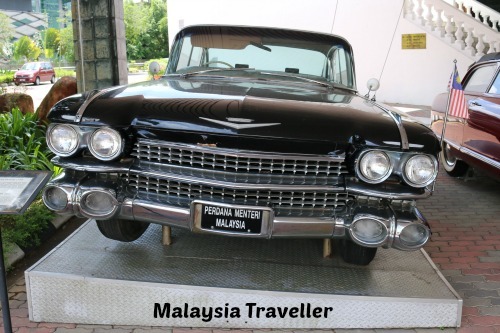 It is a historic bungalow which was the official home to British Residents in Selangor. It was relocated from Klang to its present site in 1880 before being reconstructed in the same style by Sir Frank Swettenham in 1888. 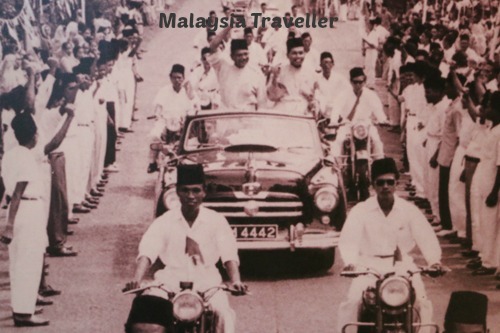 It remained the Residency for subsequent British Residents until it was taken over by The Tunku on becoming Chief Minister of the Federation of Malaya in the lead up to independence. No photography is allowed inside so you will have to see it for yourself. There are two reception rooms, one called the Cairo room where dignitaries would be entertained, and an adjacent room for women to retire to after dinner. The dining room with a table set for 30 guests is impressive while upstairs are a number of simply furnished bedrooms. A black Cadillac Fleetwood 1959 with tail fins which was used as the PM’s official car from 1965 and later by his successor. 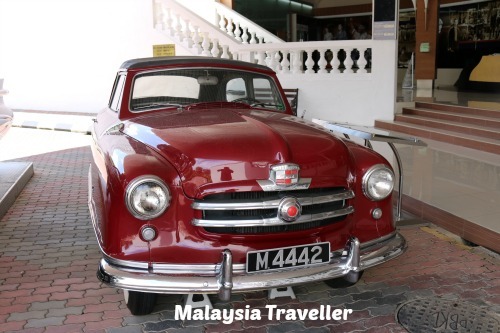 A Nash Rambler Custom Convertible 1951 which is the same model (but not the actual car) used by the Tunku while making his declaration of independence speech in Malacca in 1956, as shown in this old photo below. I enjoyed the Residency building, the PM’s office, his personal possessions and the cars. Some of the graphic material is less interesting for the casual visitor but no doubt useful for scholars. Definitely worth seeing and a visit can be combined with the Bank Negara Museum opposite and the Tun Hussein Onn Memorial next door. 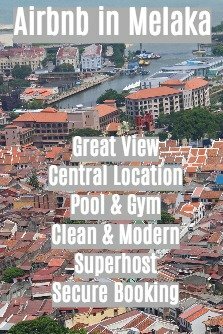 Address: Tunku Abdul Rahman Putra Memorial, Jalan Dato' Onn, 50480 Kuala Lumpur. There is also a gift shop.